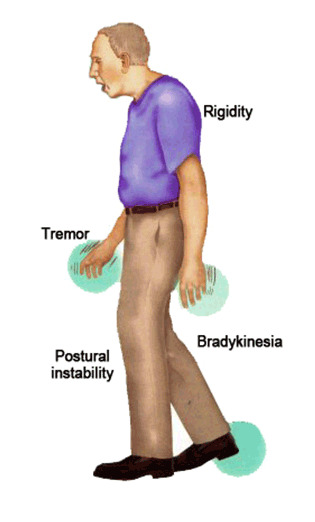 Tremor: shivering in the hands, arms, legs, jaw and face. Rigidity: stress or strain on the limbs and the back. Postural instability: deterioration of balance and body coordination. These symptoms may cause the patients some difficulty in walking, talking or doing light tasks. This disease is a chronic and progressive disease. It is not a contagious illness. It is a condition whereby a person’s muscle control deteriorated so badly that person is not able to manage himself. The researchers have identified a brain cell damage that leads to a reduction in a chemical called dopamine as the main cause of this disease. What is the treatment for Parkinson’s Disease? Currently Parkinson’s disease cannot be cured, but the symptoms can be controlled through medicines or surgery . The effects of the disease to each patients are different therefore treatment must be tailored for each individual. What is the type of Anti Parkinson? What are the special instructions for patients taking parkinson’s medicines? Tell your doctor and pharmacist if you are taking certain medicines , herbal preparations, nutritional products, or vitamins. You must tell your doctor and pharmacist if you are allergic to any other medicines or if your allergic occur while taking this medicine.. Allergic symptoms include one or more of the following: swelling of the face / eyes / lips, difficulty in breathing or skin irritation rash that spreads. Be careful while driving or operating machine because these medicines may cause drowsiness or blurring of vision. Do not stop taking the medicine abruptly. Tell your doctor if you are breast-feeding, pregnant or may become pregnant during treatment. These medicines may cause dryness of the mouth. You can try sucking sweets to reduce the problem. How to cope with Parkinson’s disease? Managing Parkinson’s disease can be complicated, but it’s nothing you can’t handle. Here are some tips to manage the symptoms of Parkinson’s disease. But, remember to consult your doctor before engaging with any physical activities. Drink six to eight glasses of water a day, even if you aren’t thirsty. Eat natural laxatives — prunes, vegetables, and foods high in fiber — to prevent or relieve constipation. Eat something cold and sour before a meal to help prevent dry mouth. Talk to your doctor and pharmacist about any food-specific issues related to your medicines. For example, meals high in protein may interfere with the absorption of levodopa. Avoid alcohol, caffeine, and other stimulants — especially in the evenings. Minimize fluid intake in the hours before bedtime. Establish a regular routine by going to bed and waking up at the same time each day. Create a comfortable, peaceful environment in your bedroom. Avoid watching TV, reading, and eating in bed. Maintain open and honest communication with your family, friends, and healthcare providers. Join the support group such as Malaysian Parkinson’s Disease Association to share common experiences and feelings. Find local social workers and counselors who can provide helpful resources in dealing with the emotional ups and downs of Parkinson’s disease.